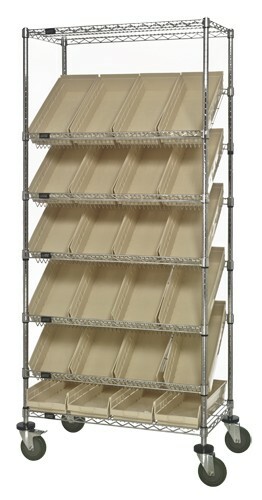 Stationary Slanted Chrome Wire Shelving Units create a unique combination of modular components to enhance supply distribution applications. 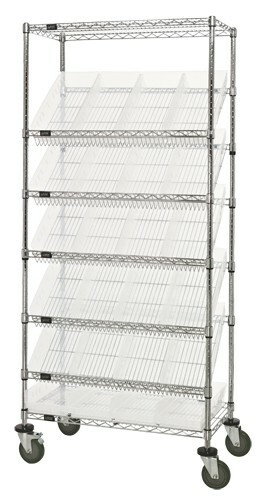 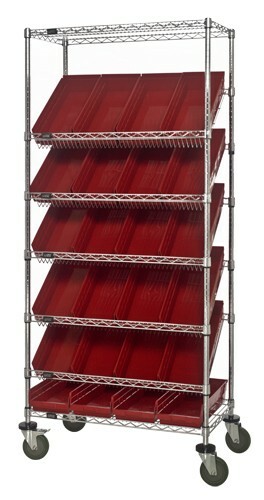 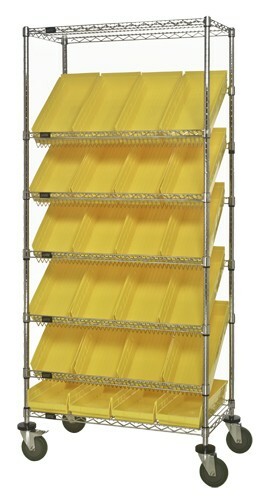 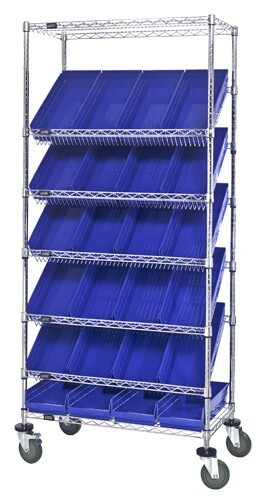 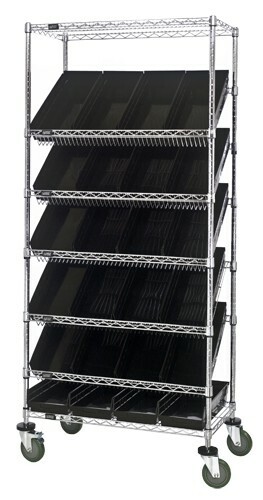 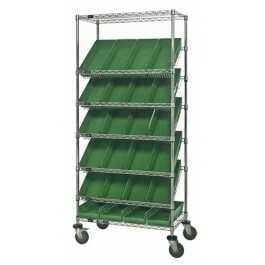 The sloped chrome Wire shelves allow for high visibility, product rotation and gravity feed. 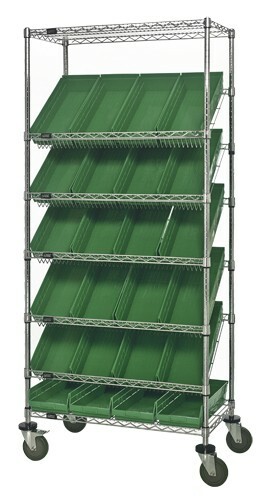 Ideal for Par Level Systems. 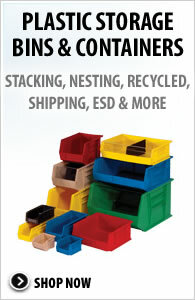 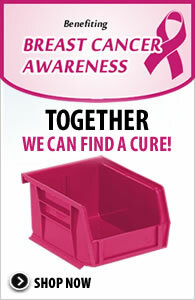 Comes complete with Shelf Bins available in Blue, Green, Ivory, Red, Yellow and Black.